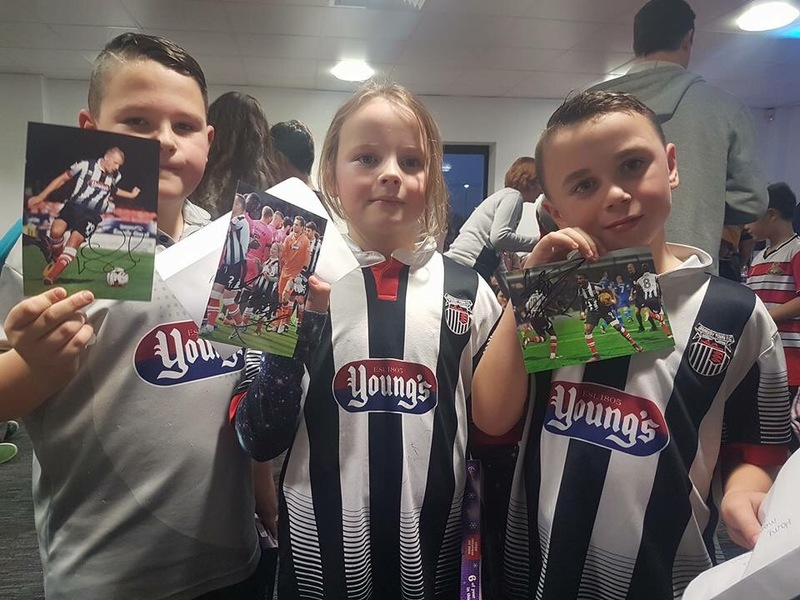 Mini Mariners GTFC – 3 young town fans traveling the land. 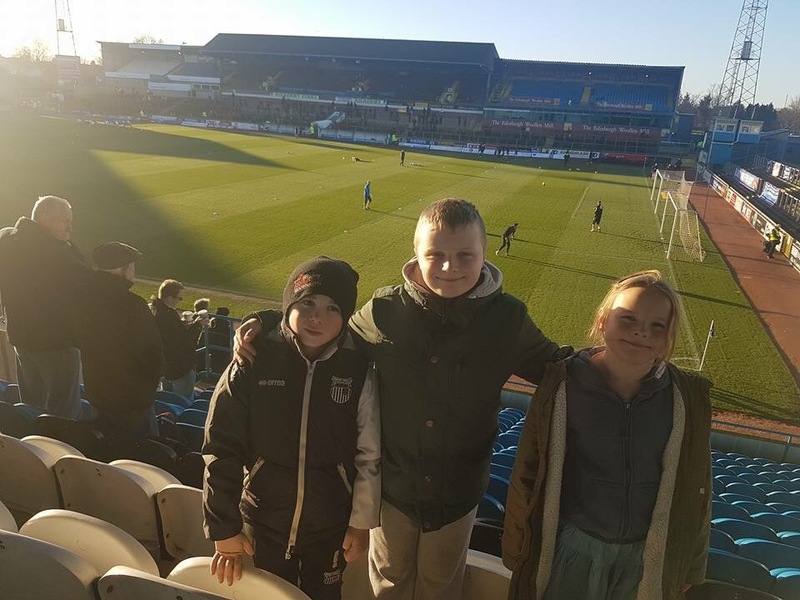 3 young town fans traveling the land. Today we were lucky enough to interview John McDermott. 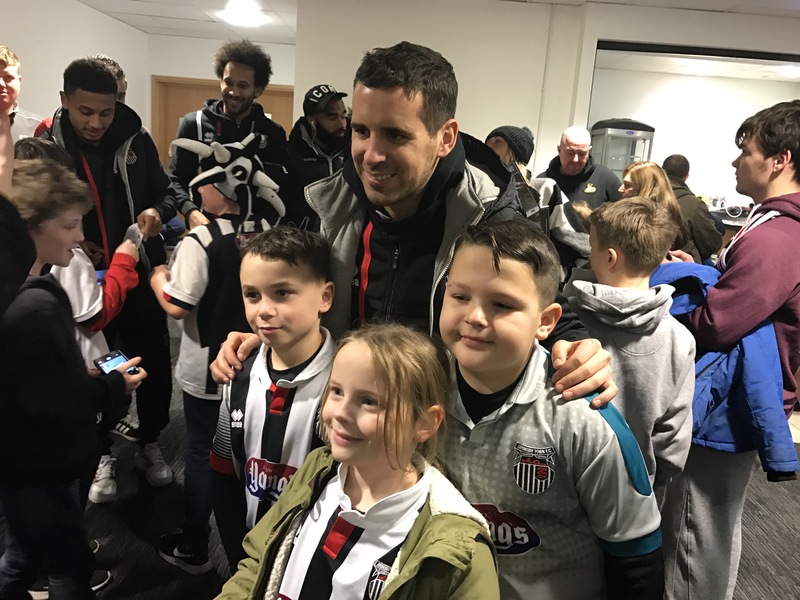 Macca is the record appearance holder for GTFC with 754 appearances in 20 years. Staying at one club all the time you were playing doesn’t happen very often now and this is pretty special. 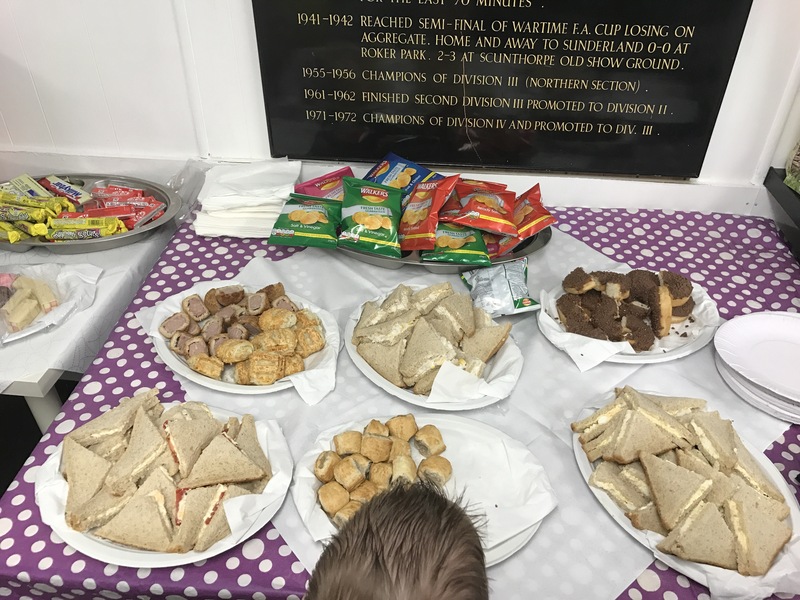 It was nice to hear about the years when our mums were supporting the club around the age that we are now (a long time ago!!!). We looked forward to this game because last time we went to Barnet we had lots of inflatables and enjoyed it very much! This time though Barnet banned the inflatables but GTFC fans thought of something even better!! We raised £1000 to hire Mariachi band Beato Burrito! With lots of telephone calls and emails and things Barnet let them in! 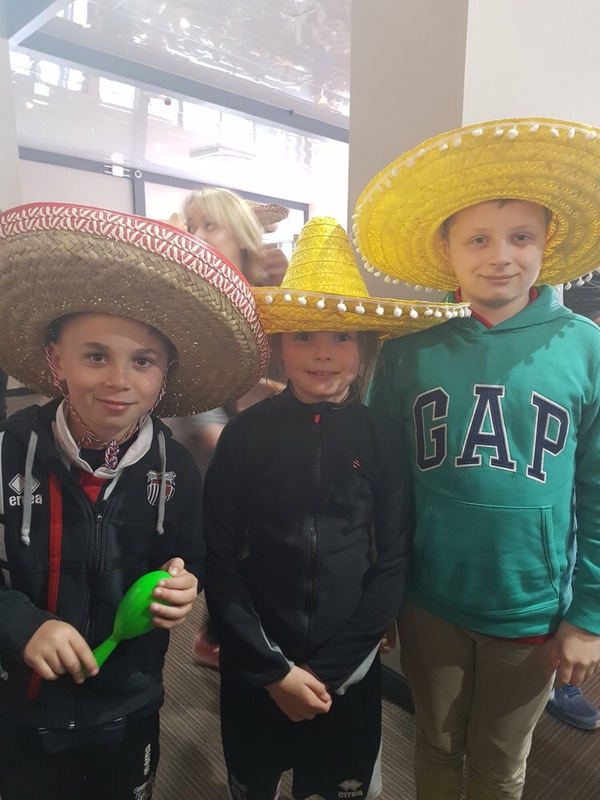 We even decided to have a Mexican theme which meant lots of us went to the game with sombreros – it was lots of fun! The bar area at The Hive was brilliant and new so we all waited in there for the band to arrive and once they did it was really good! They played some well known music songs as well as Town songs too, everybody was smiling and enjoying it. We went into the stand to watch the game, last time we went it was a little terrace but this time it was a big seating stand. The game wasn’t very good though and by half time we were 2-0 down and not looking like scoring! In the 2nd half the band came into the stand to carry on our Mexican party – despite the score and performance Town fans were still enjoying themselves. 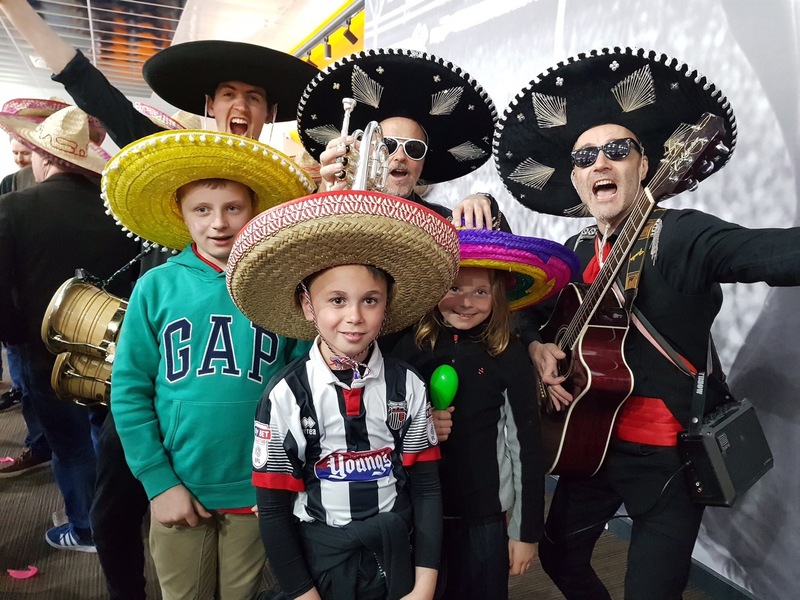 Could we be the 1st ever football supporters in the U.K to have a mariachi Band in the stand? The game itself finished 3-1 with legend Craig Disley getting a goal unmarked from a corner. We really hope he stays, he loves the club and still plays well!! We won’t remember the performance but we will remember the atmosphere in the stands. 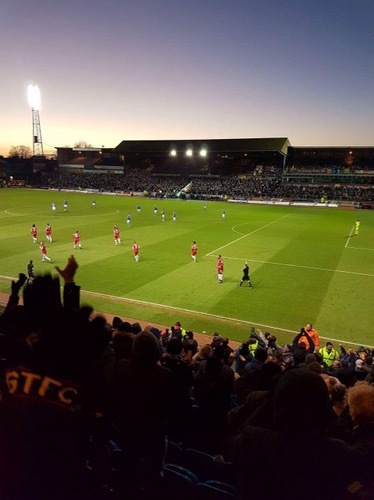 The news went worldwide and fans have even raised £1000 for the disabled supporters club – how ace is that?? 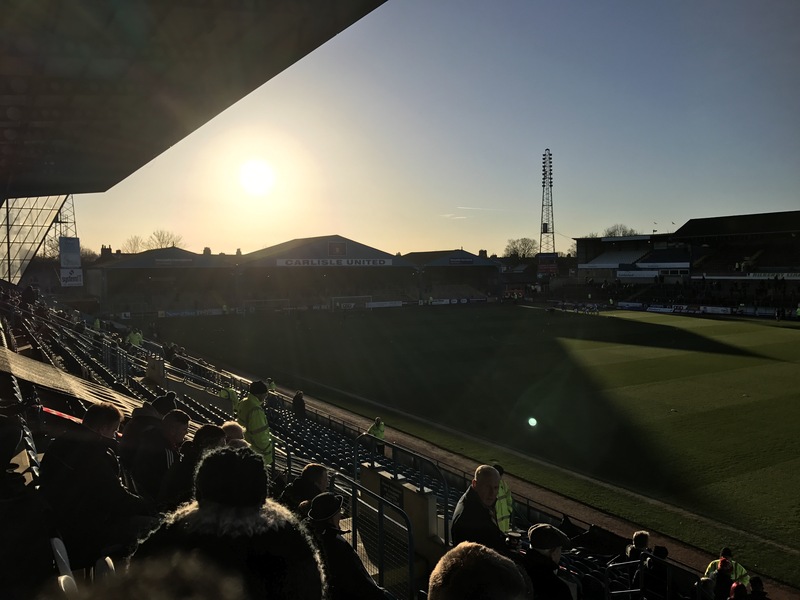 We hope we have lots more good away days next season and looking forward to visiting a few new grounds! Last night we went to the player of the year at the Beachcomber. We didn’t expect as many people as last year but it was packed! All of the players were there and it was good to see them all smiling. Russell Slade made them all drink soft drinks so not so sure they were all happy with that! Danny Andrew was the big winner with 9 trophies. 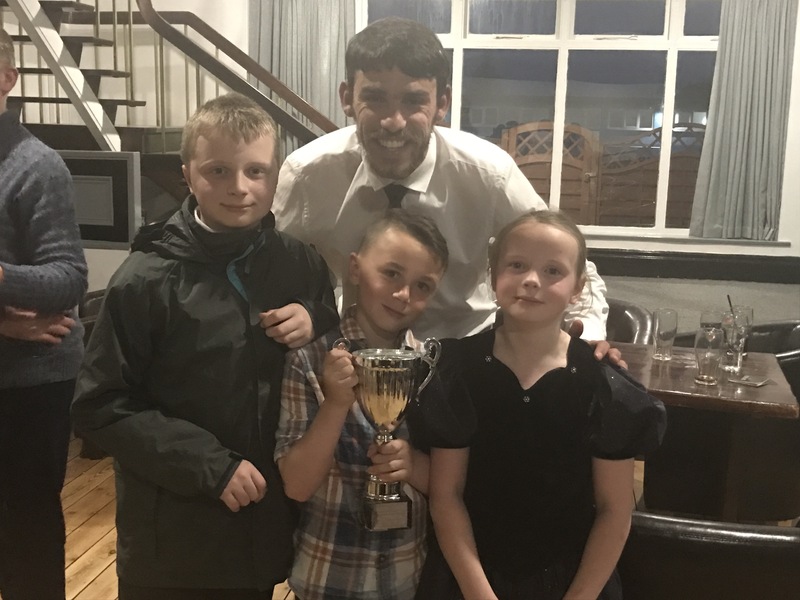 He started the season slower than Zak Mills (who also won) but he has got stronger and better as the season has gone on. We were very lucky last night also! 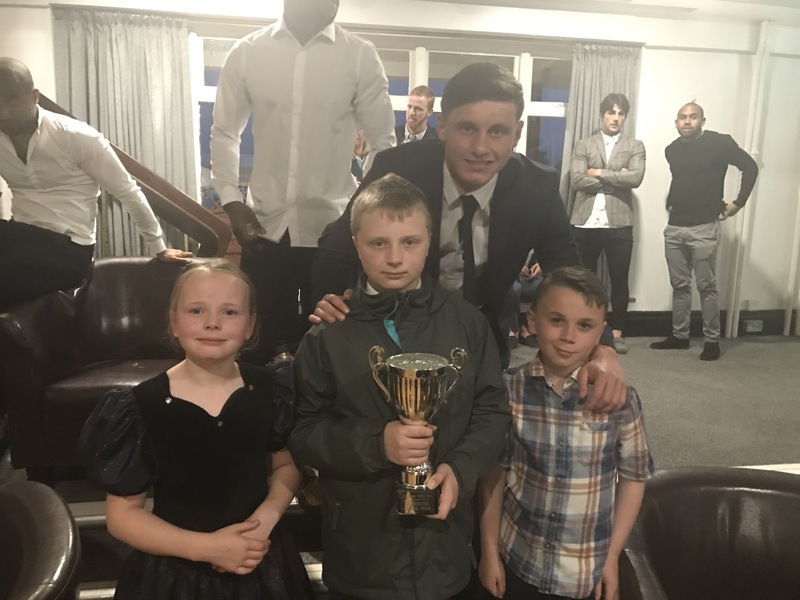 Harry presented the Internet Mariners POTY to Zak Mills and me (Kieran) and Kloe presented the Family Lounge POTY award to Danny Andrew! 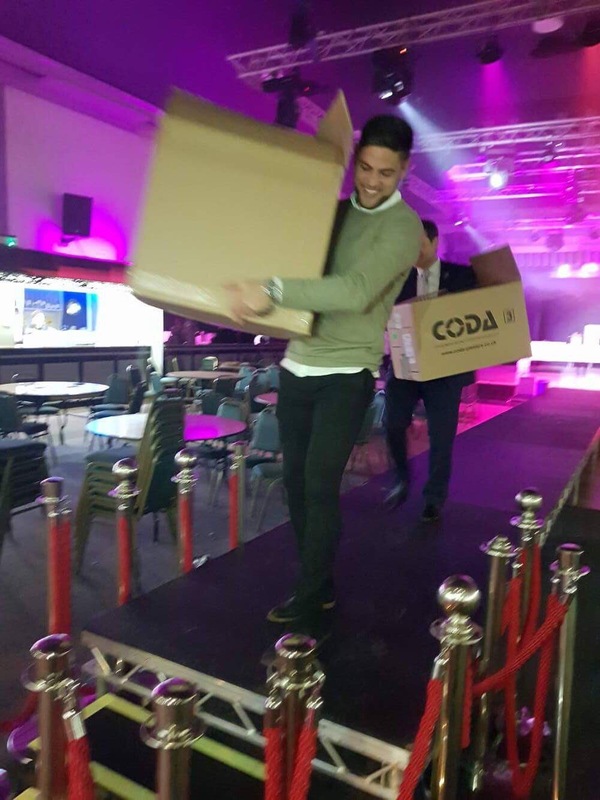 He had to carry his trophies home in 2 big boxes haha! It didn’t stop there though because we also won a trophy!! 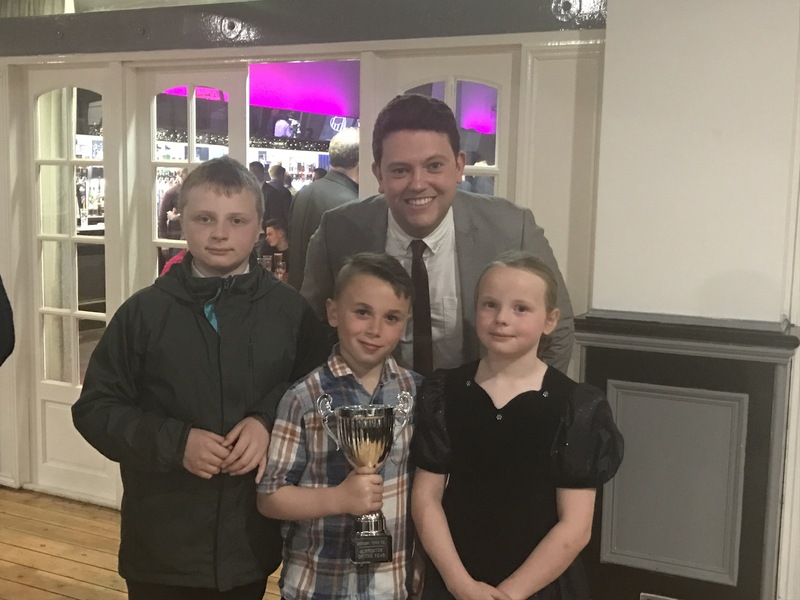 We didn’t know until the man said “Not 1 but 3 winners!” That we had won the Supporters of the year award! We were very shocked and very happy! We are going to share it a month each so that it is fair. 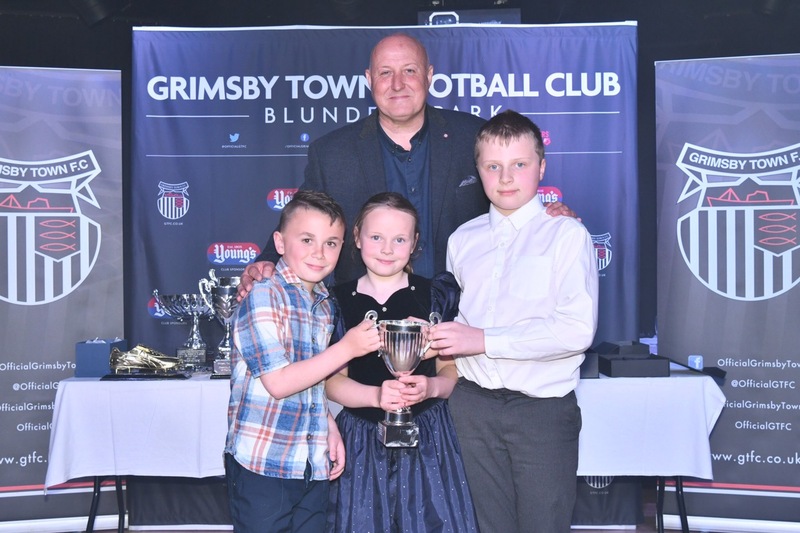 After the awards we had our pictures taken with some players and with Matt Dannatt – a good reporter that is leaving the Grimsby Telegraph. 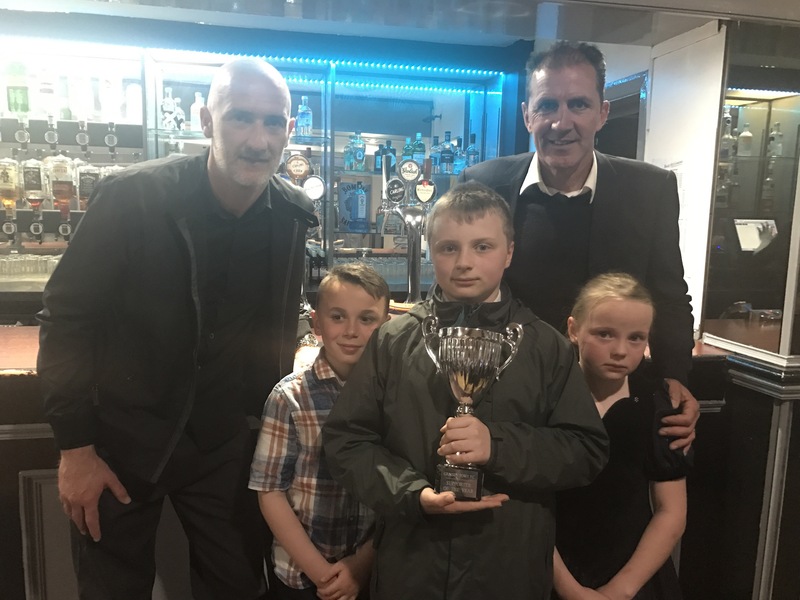 #CaptainLeaderLegend Craig ‘Dizza’ Disley also won a special trophy from the supporters club. We love him and want him to stay!! We will always remember being on the pitch with him at Braintree last season. You can see above we were surprised! Thank you again and look out for our blog on Barnet away and also our interview with John McDermott!! Half terms can be boring but for 2 of the 3 blog Mini Mariners and other junior Mariners Trust members yesterday was great!! 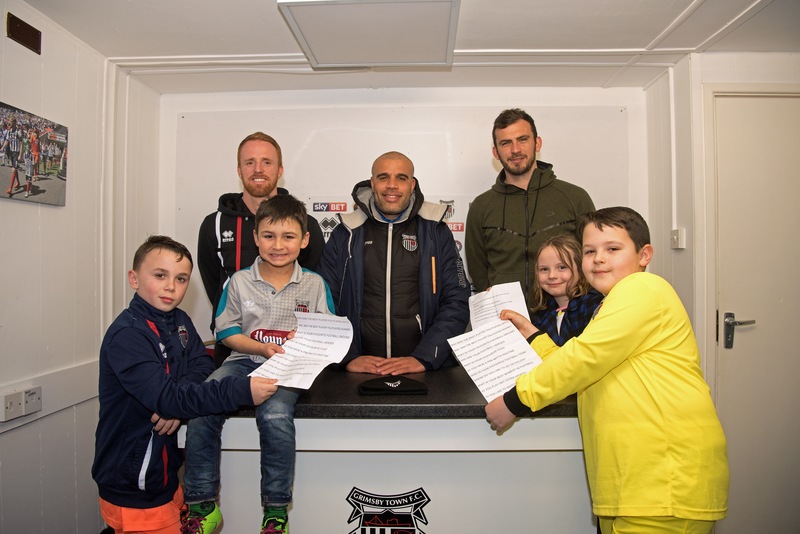 We got to interview Marcus (again), skipper legend Craig Disley and new player Gavin Gunning. Credit Carl Leslie media and Comleys for pics! They were really funny and it was good to see players not being so serious and being happy. The other journalists and photographers stayed and had a really good time too. 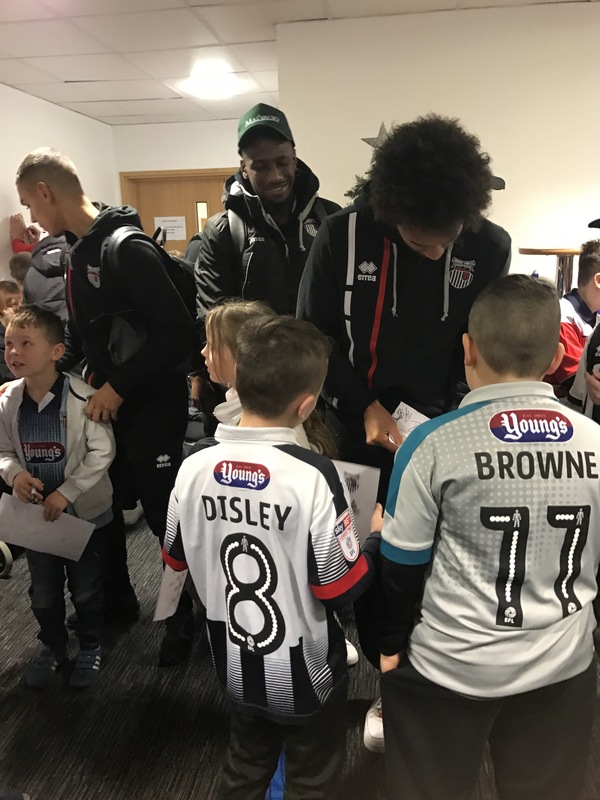 Thank you Mariners Trust for organising it and Grimsby Town for sorting out the players. Marcus wants to do it again and we hope it happens again too! 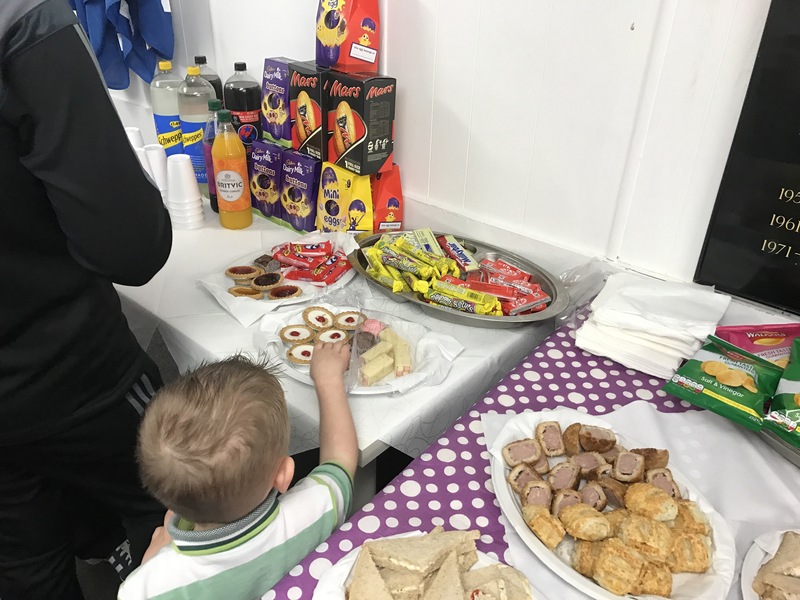 Even the buffet after was ace with Easter eggs too! So we are just back from Crewe (our 1st visit) and we don’t know what to say. How can the same team and same formation play so differently? Conceding so early and so softly had us worried and every attack we were worried that we would concede a goal – not good!! At half time it was 4-0 and could have been more if not for James McKeown. 740 Mariners were there but less the half probably saw the start of the 2nd half. It was cold, the performance bad and we couldn’t blame them. 3 changes at the start of the 2nd half saw us start with a more 4-4-2 formation for the final 45 minutes. 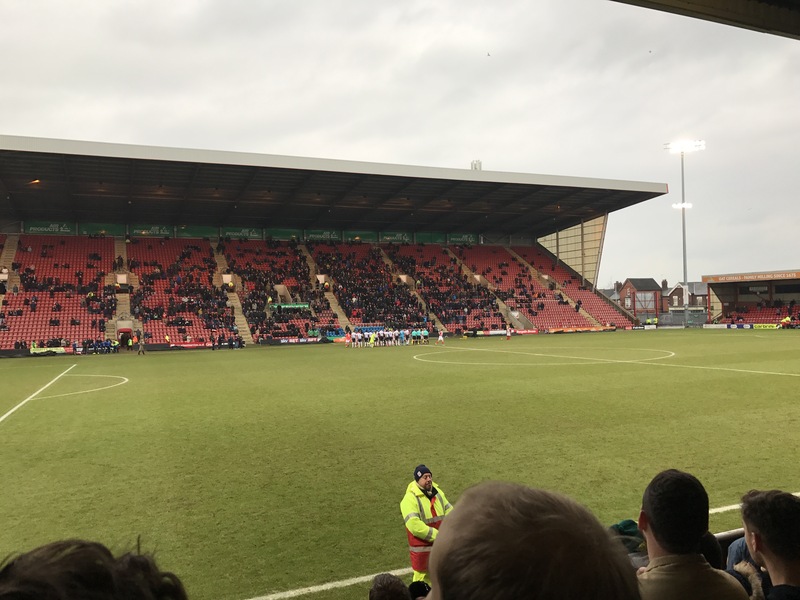 We didn’t look as over run but then at 4-0 Crewe didn’t need to push forward. 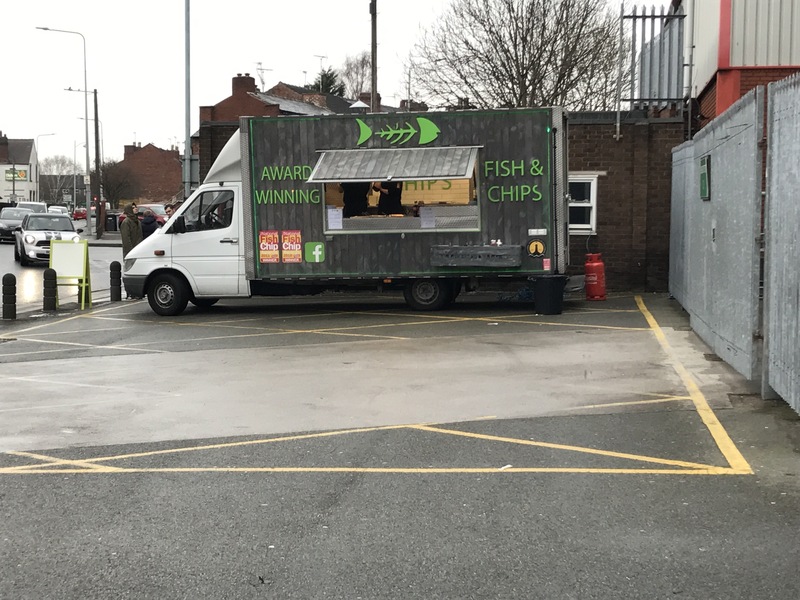 It sums it up when the most exciting thing was seeing the fish & chip van outside. Why are we sponsored by Youngs but don’t have something like this? Almost as crazy as the 1st 30 minutes on the pitch. Fans were right to be upset at the end but sometimes the stuff that was said doesn’t help. We feared the worst when Marcus Bignot came over. He apologised fair enough but it could have turned nasty. 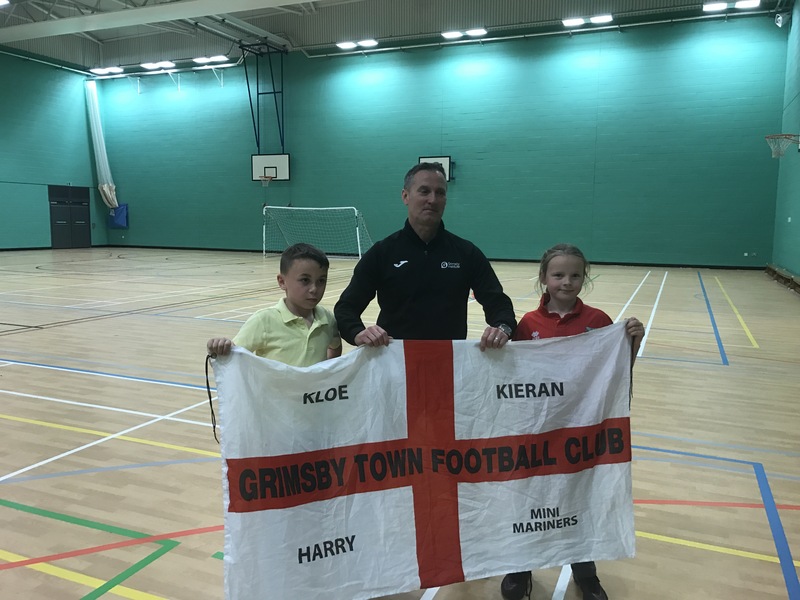 When all said and done though, we are Grimsby Town fans. We can’t be anything else and we’re still Football League. 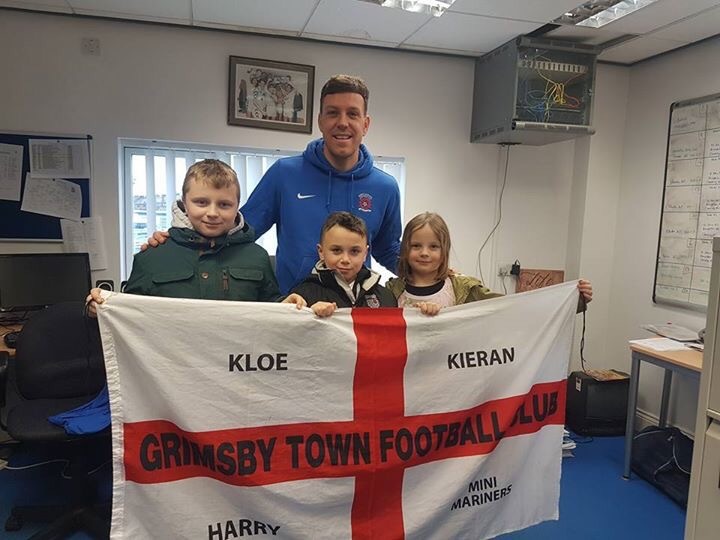 Only Mini Mariner Kieran will be at Newport because of the half term holidays. Hopefully a few of you will be there too!? Its all go today! 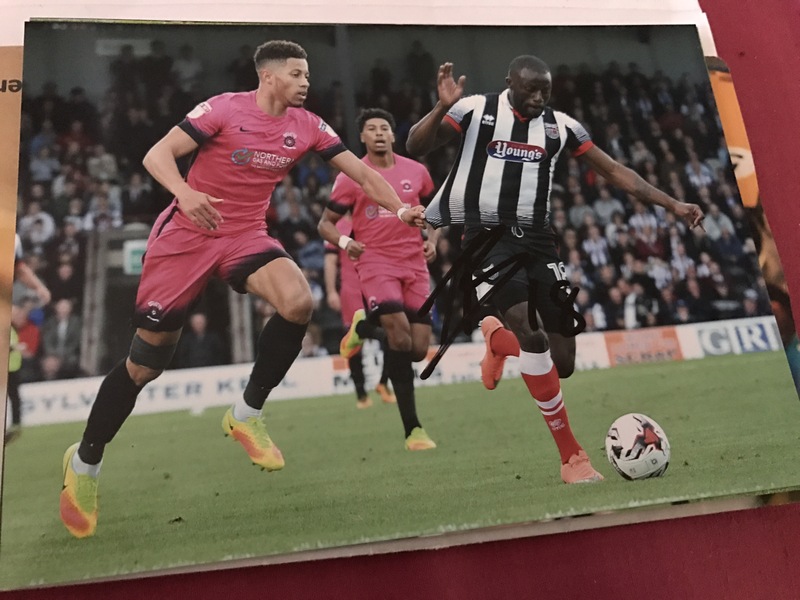 Our competition to win the signed Tom Bolarinwa action photo given to us by Comley Cameras – Cleethorpes ended last night. We spent this morning checking entries and making sure each one liked, shared and retweeted. We then used a selection tool online to pick a winner. Well done! We will be in contact to send to you soon….. 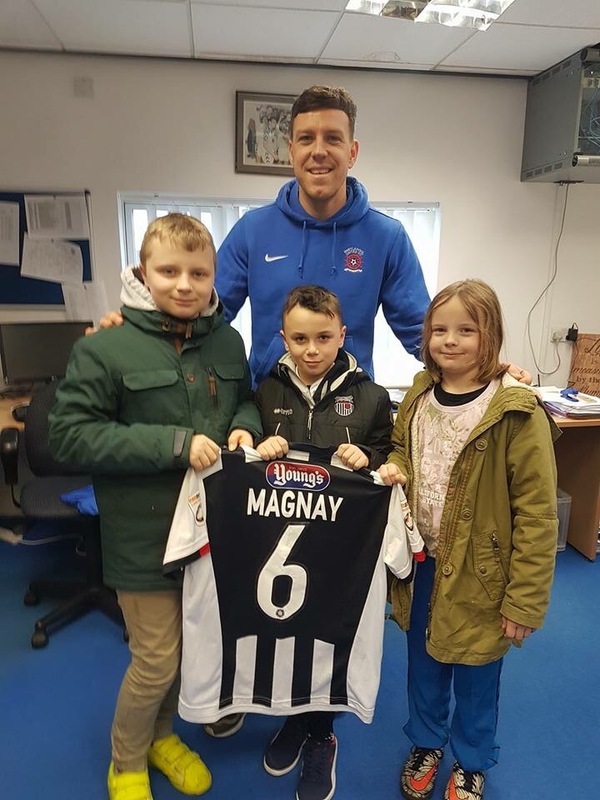 Yesterday we were lucky enough to interview Ex-Mariner Carl Magnay. He is currently out injured but couldn’t have been happier to do it. 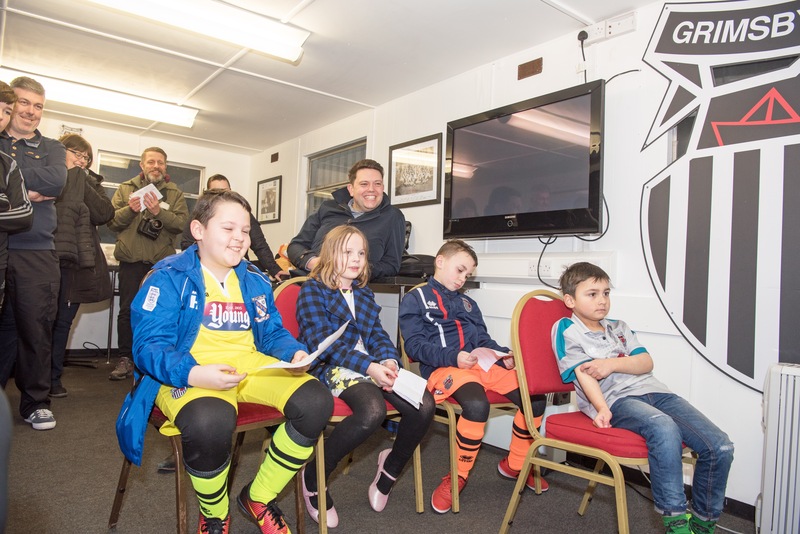 Hartlepool United FC were also very helpful it letting us use a room and we would like to thank them. 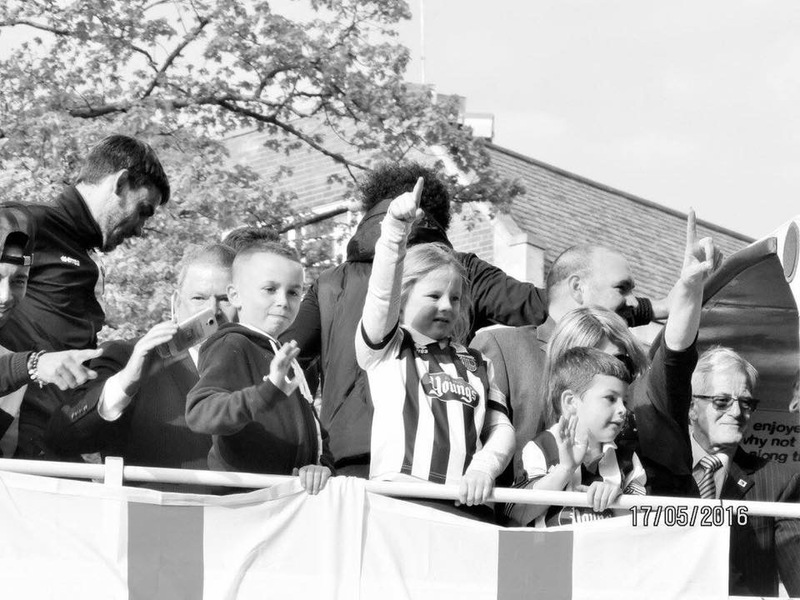 You can tell Carl loved his time at Grimsby Town and really loved the fans, whats not to love?? 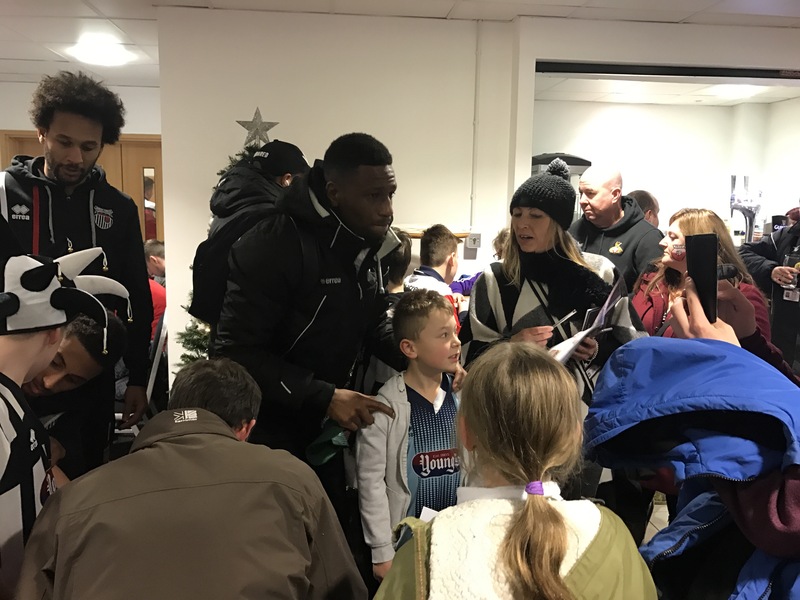 Lots of talk about our away followings from the gaffer in his post match interview and Carl certainly took notice when he was here. 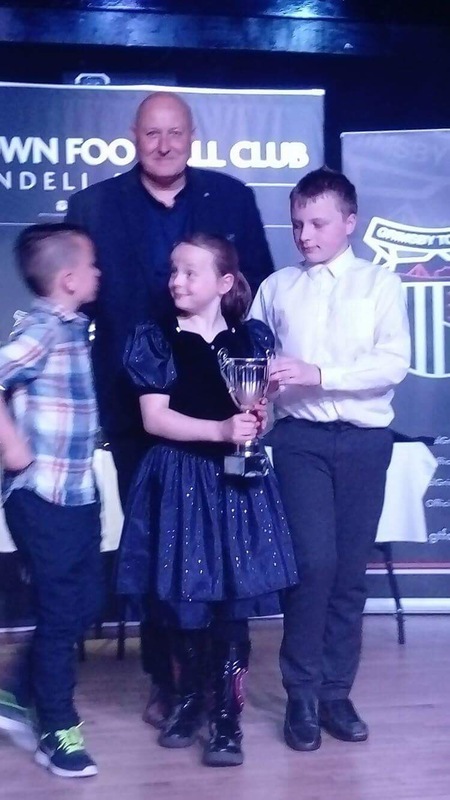 He may have only been with us a season but he’ll be a fan for life, he knew all about the nonsense at FGR and why Barnet happened as well as results this season. 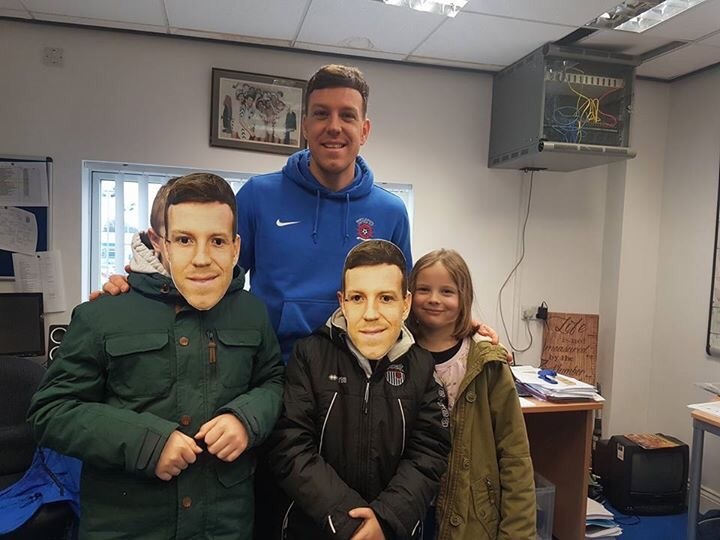 He loved the masks at Alfreton that day and always looks out for our results. 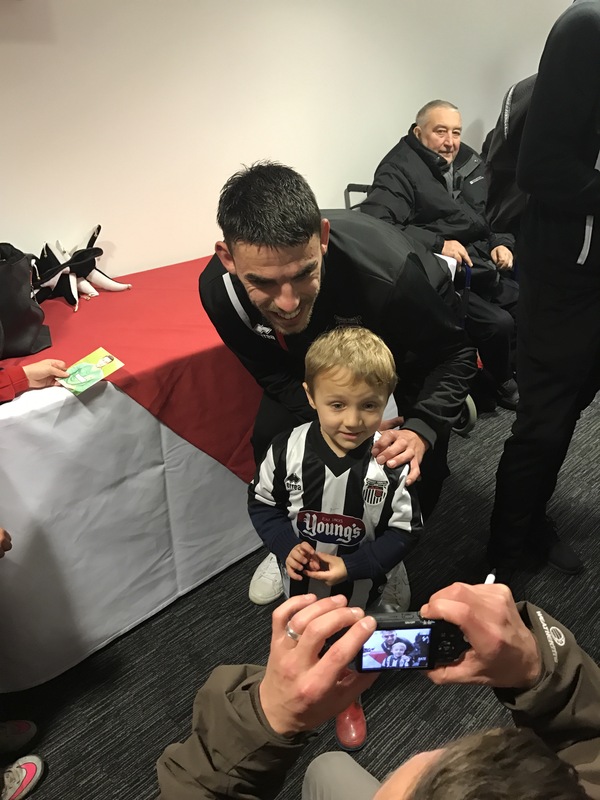 He mentioned his best goal so we found it on YouTube he doesn’t score many so it was easy to find….. 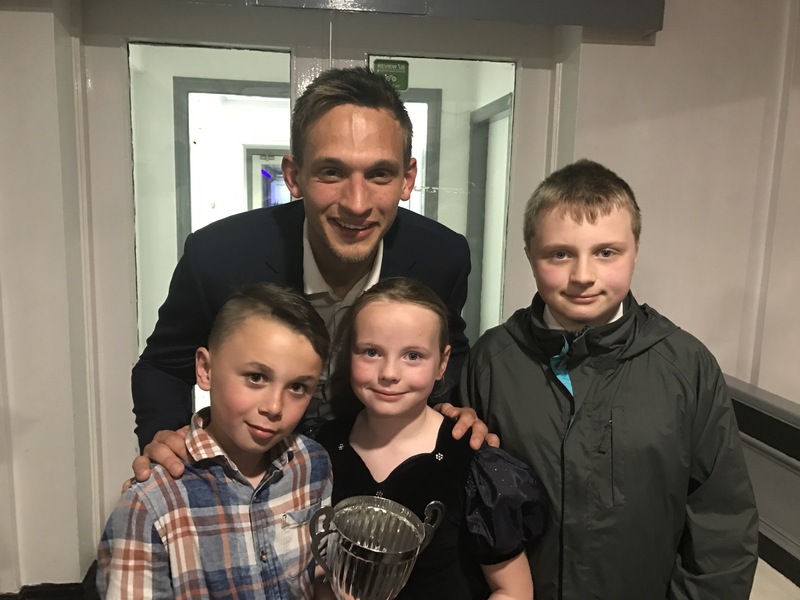 It was a big surprise at the end when he signed his Wembley shirt of the play-off final, he was even there last season when we finally got back into the league! Yesterday we went to Carlisle, it’s the 1st time we have been before. We stopped at the Magpie pub which was very nice. 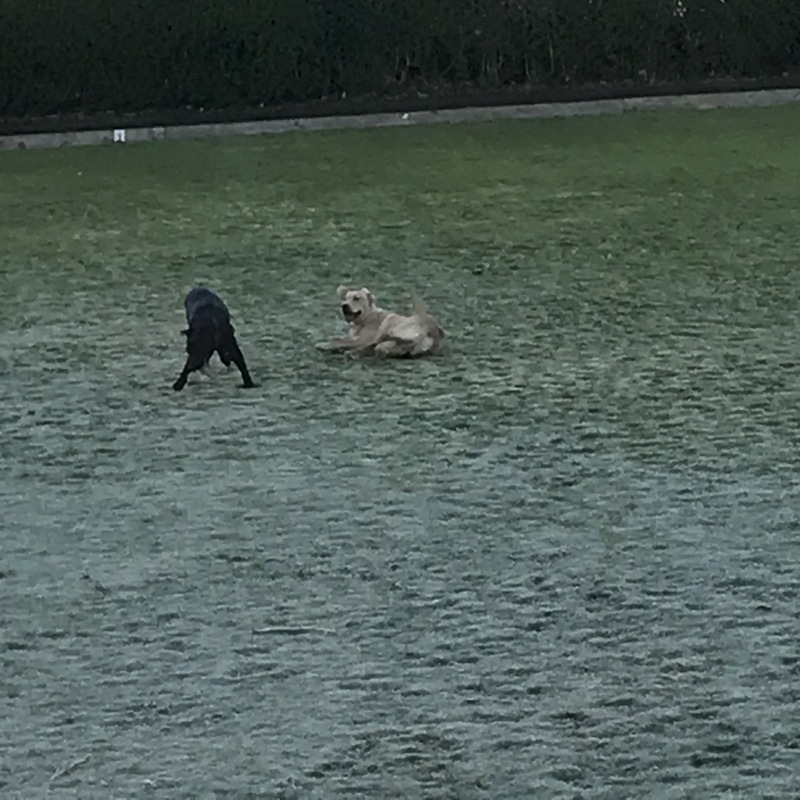 We laughed at the 2 dogs running around and hoped it wasn’t the highlight of our visit!! We finally walked round to the right entry and the sun was blinding it was also odd that the seats overlapped the terrace behind the goal? Everybody was a bit puzzled by the formation when the 1st 11 came out. Maybe it was because we ‘lost’ the midfield battle in the home tie not so long ago that the formation was changed. 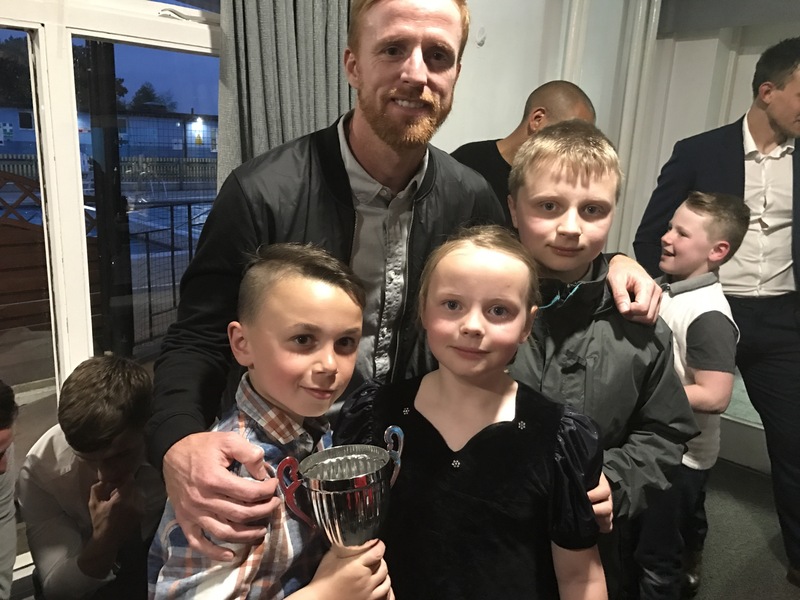 It was good to see Captain and Legend Craig Disley back, he sat in midfield with Zak Mills and Comley. With a back 3 and 2 wing backs. We started well without really testing the keeper but in the 31st minute a through ball to Carlisles top scorer that he finished put the home side 1-0 up and that’s how it stayed until half time. By the start of the 2nd half the sun had gone and the cold set it. 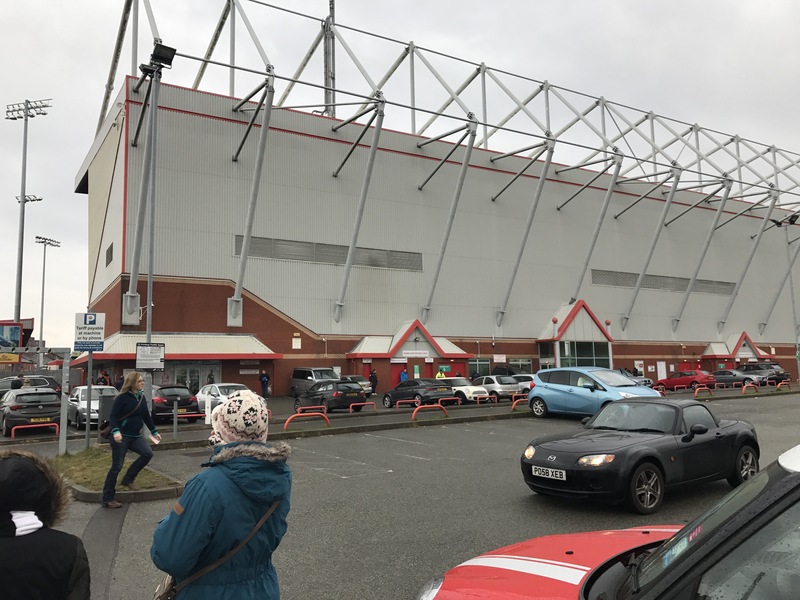 Maybe Carlisle defence got caught cold as Omar Bogle muscled his way past a defender and scored 1-1!!!! New signing Yussef came on and gave us that extra spark we were looking for as Carlisle hunted for a goal to go ahead again BUT it was the Mariners that scored next. Danny Andrew curled a beaut of a corner onto Omar’s head who put it into the back of then net unchallenged yesssss 2-1!!! Carlisle didn’t stop though they kept coming but a brilliant save from ‘Deanooo’ thwarted another attacked. 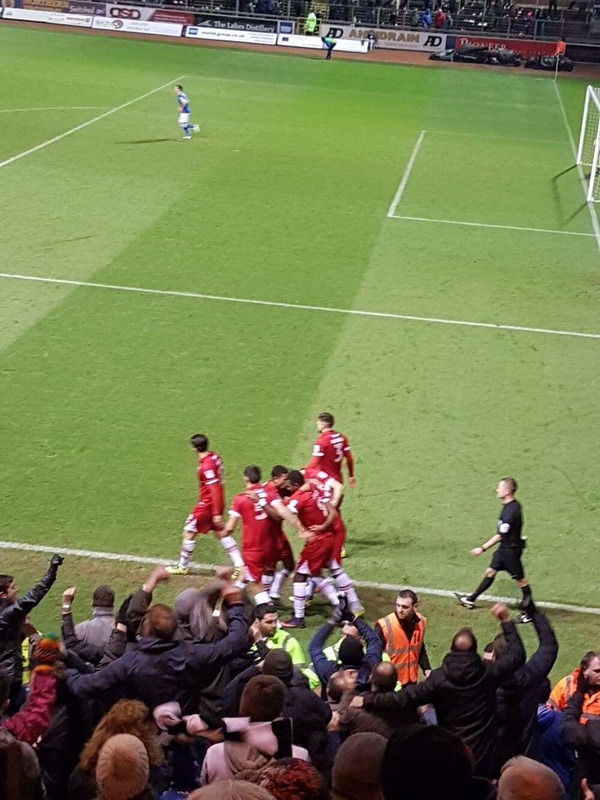 As they pushed forward Omar got the ball near us, flicked it through for new singing Adi Yussef to race clear and pick his spot to score 3-1!!!! We still had chance to have the ball in the net for a 4th time!! 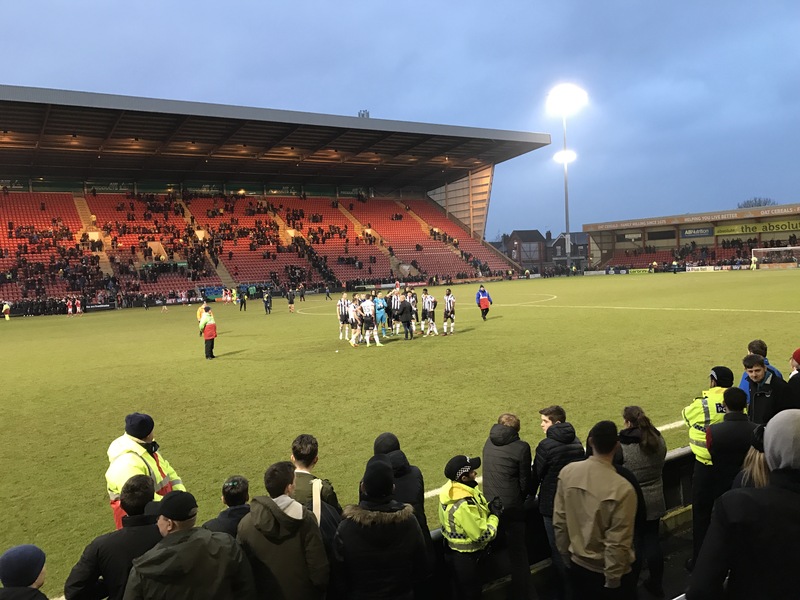 Again Danny Andrew whipped the ball in from a corner and it went straight in a la Joe Colbeck at Sincil Bank but the ref blew for a foul on the keeper…. 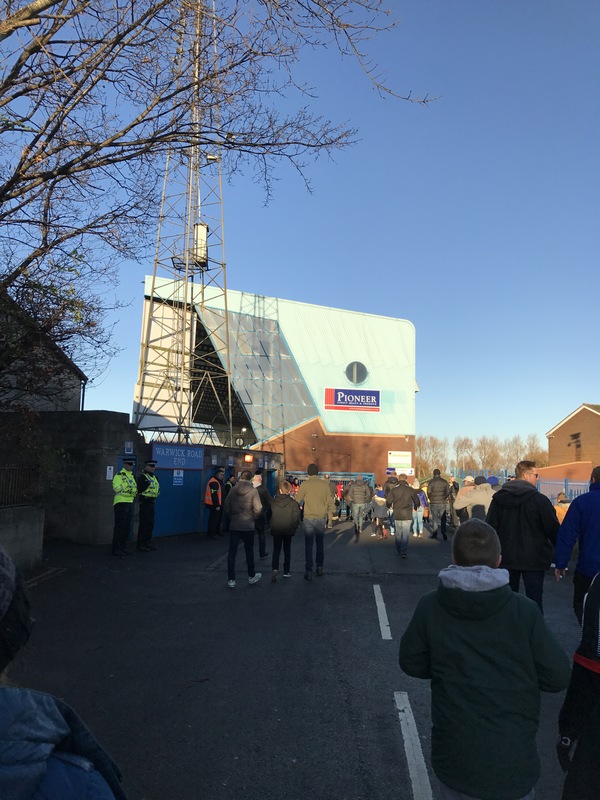 At the end fans and players were overjoyed we were the 1st team to go Brunton Park and come away with all 3 points this season. Henderson even threw his gloves into the crowd! It may have been cold but the journey back was a good one. 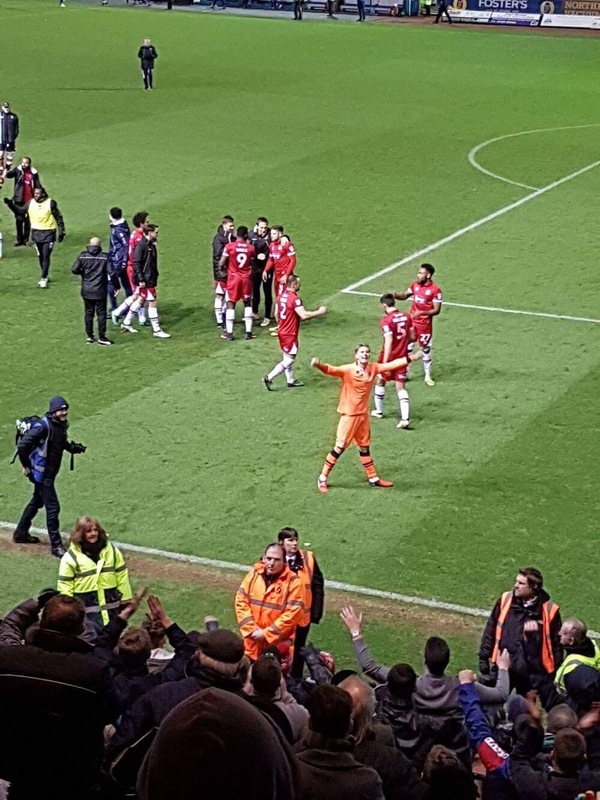 It’s always good to follow the Grimsby away especially when we win!! 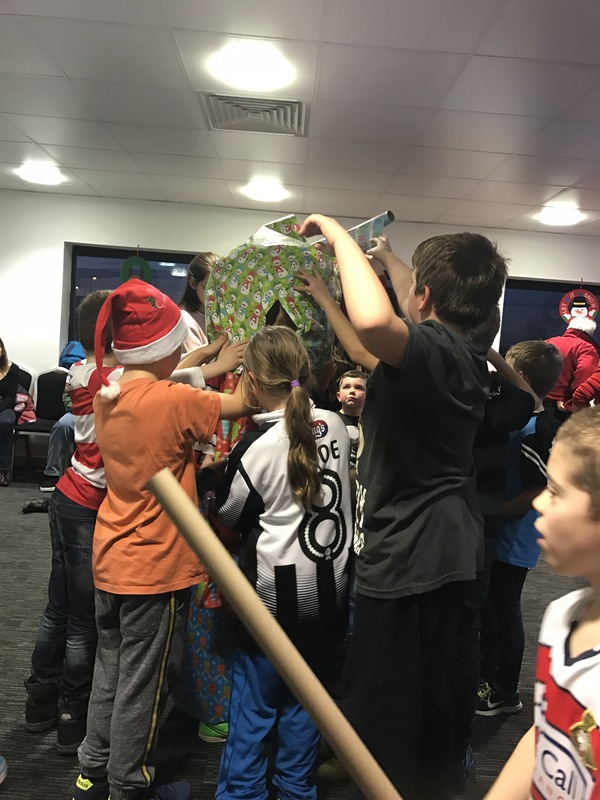 The Mini Mariners have had a great Christmas which was made that bit better after picking up 3 points at BP on Boxing Day. Mini Mariner favourite Ashley Chambers wrapped the game up late on after tricky winger Tom Bolawinra had put the Mariners ahead. So what better way to see out what’s been a bit of a special year then a competition?!? 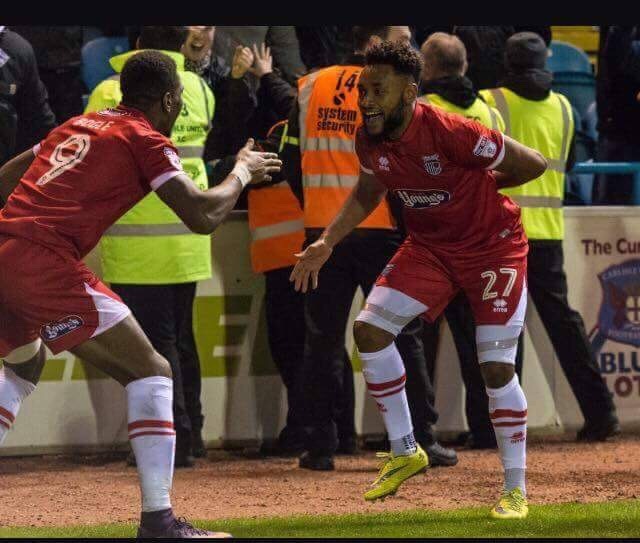 We are giving away 1 signed picture of Tom OR if Tom scores against either Blackpool, Carlisle or Hartlepool we will give away 2!!! (2nd is a different signed pic and will be shown if he scores) how ace is that!! 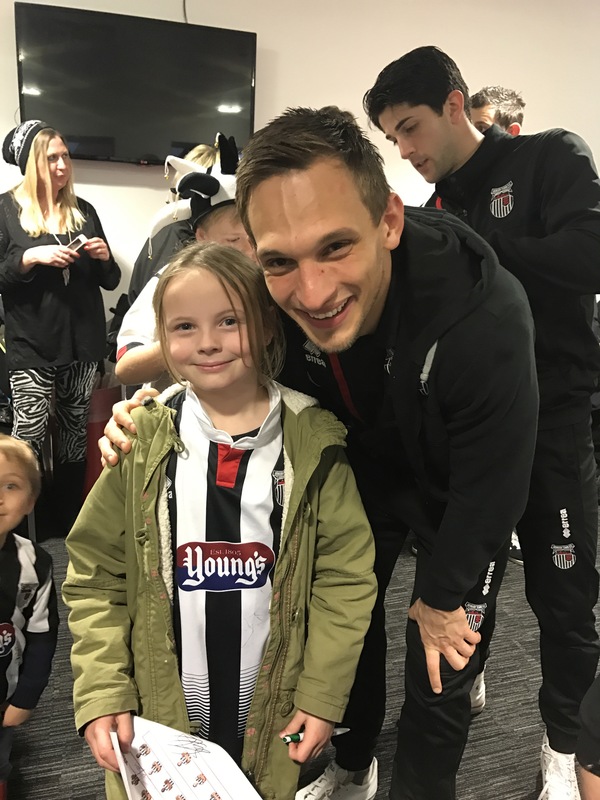 For an additional entry post a pic of you and/or your Mini Mariner with your GTFC presents received this Christmas either on twitter and/or facebook. 4 entires up for grabs! Saturday 7th January 2017 at 8pm, entries after don’t count. Which is the day we play Hartlepool who Tom faced in the pic!! Winner(s) will be contacted by Monday 9th January 2017. No age restrictions but you MUST like our twitter for your RT to count and you must like our FB page for your share to count. 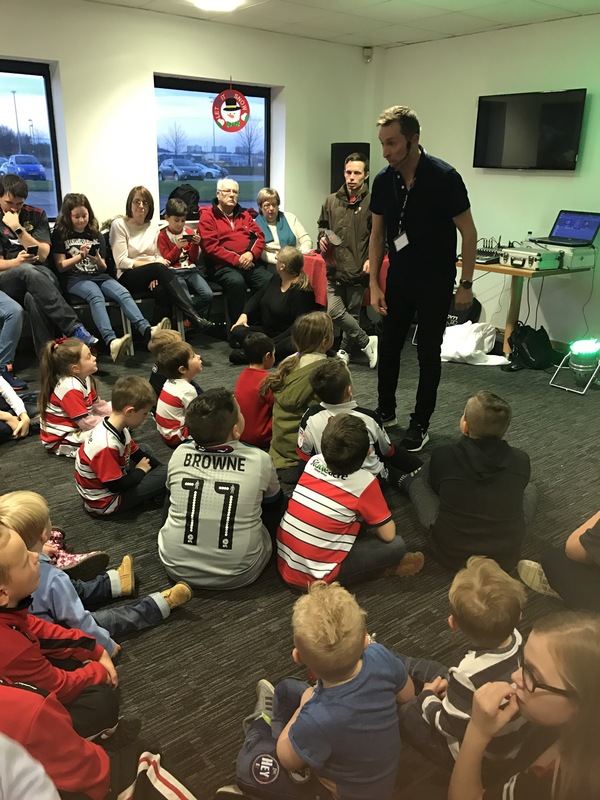 On Saturday 17th December 10 junior Mariners were invited to Doncaster Rovers after match Christmas Party. 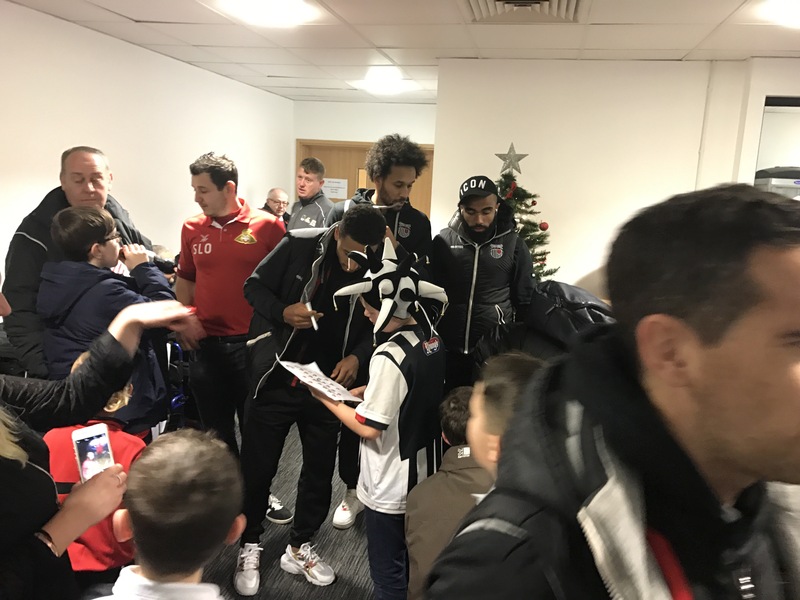 The Mini Mariners would like to thank Mark at Doncaster Rovers for the invite, the Mariners Trust for donating selection boxes, GTFC and players for signing pictures and Comley Cameras of St Peters Avenue for donating individual action shots of the players! IF YOU HAVE PARTY PICS LET US KNOW AND WE WILL ADD THEM. minimariners on Mascots – Worth it? 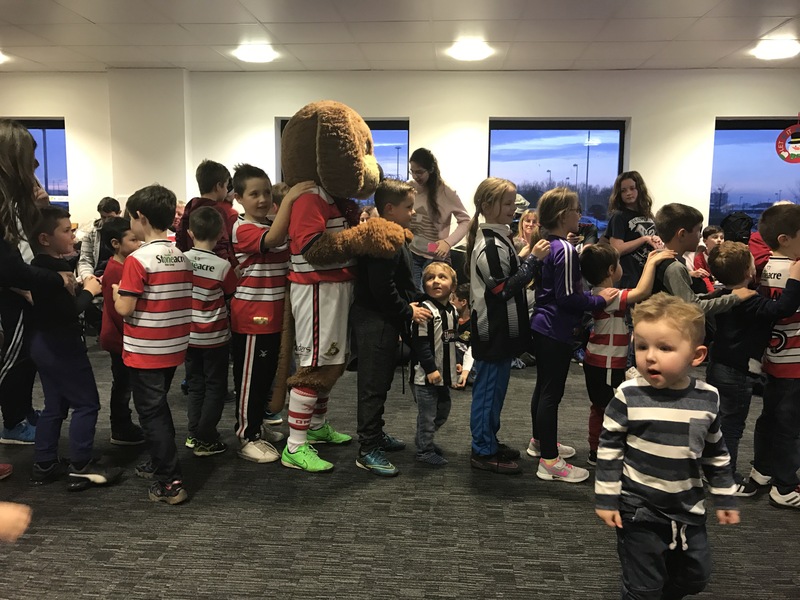 Di Kaveney on Mascots – Worth it?